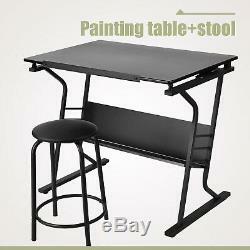 Tilt Tabletop Art Crafting Drafting Board Drawing Table and Stool Set Black. 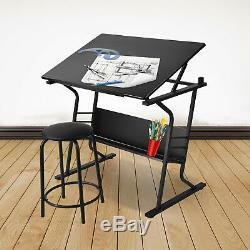 This interactive Drawing desk combines beautiful and practical. 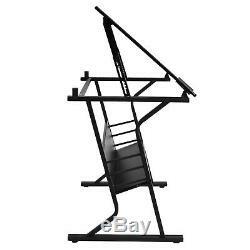 With an adjustable tilting surface which provides the perfect angle for writing, reading and drawing, and one organized shelf storing papers, pens, books, utensils, etc, it is a perfect for Home & Art stuido. 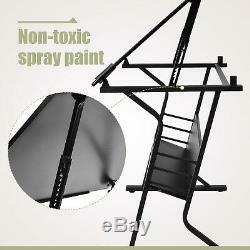 Sturdy and Durability:15MM MDF with PVC, Steel Tube Powder Coated Finish, nylon cloth. 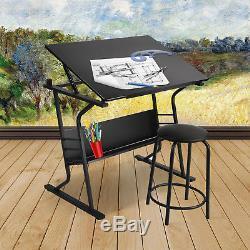 Titlting Surface:Adjustable desktop tilt mechanism provides the perfect angle for drawing. 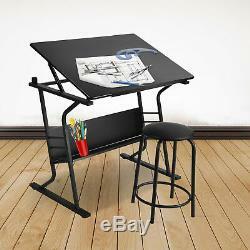 Organized Space:1 shelf (storing papers, pens, books, coloring utensils, etc). 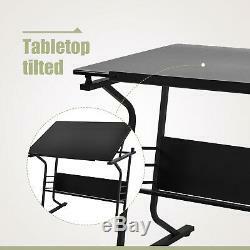 Pencil edge:Design slide up pencil edge for keeps your toos from rolling away. 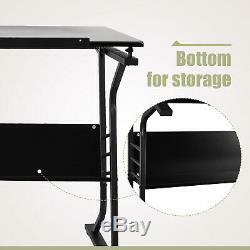 Material: 15MM MDF with PVC, Steel Tube Powder Coated Finish, nylon cloth. 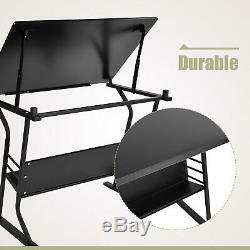 Weight capacity of stool: 220lbs. 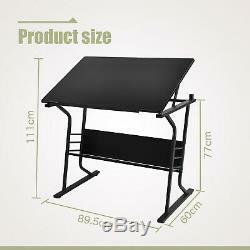 Overall dimensions:L89.5cmW60cmH(77-111)cm. 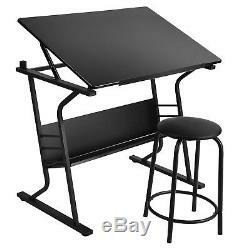 The item "Tilt Tabletop Art Crafting Drafting Board Drawing Table and Stool Set Black" is in sale since Wednesday, May 16, 2018.